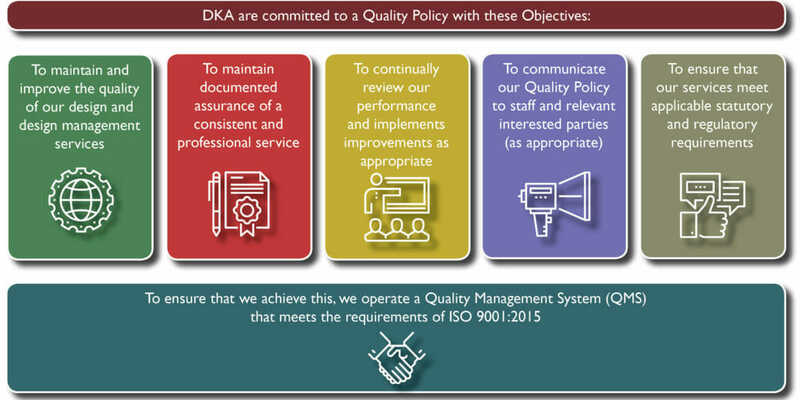 DKA have operated a Quality Management System (QMS) since becoming an early adopter of BS 5750 back in 1994. Our QMS is now completely integrated into the way the practice works and embedded into our comprehensive electronic Information Management System (IMS). This automates administration and correspondence for our projects and services. 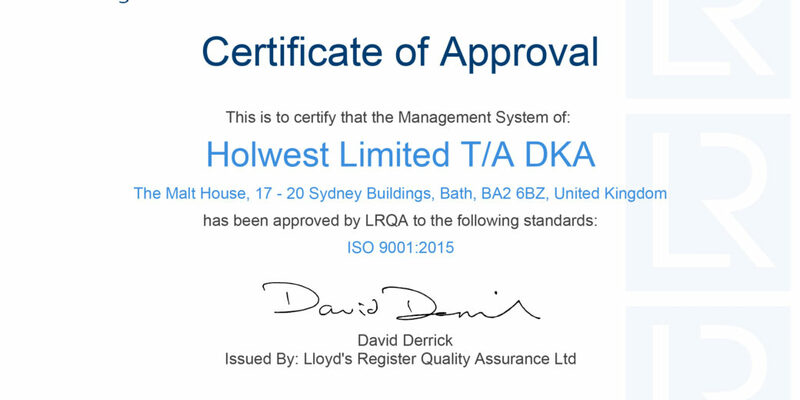 We have now achieved LRQA accreditation under the new ISO 9001:2015 standard which replaces the outgoing 2008 version at the end of September 2018. Many of our clients, in both public and private sectors, are requiring increasingly robust measures to be taken by their consultants to safeguard their information. The introduction of the General Data Protection Regulation (GDPR) in May 2018 will further focus minds on data security. To meet these demands we operate an Information Security Policy that sits alongside the QMS and have attained Cyber Essentials Plus. Therefore, our clients are assured that our cyber security has been verified by independent experts.